[dropcap size=big]T[/dropcap]here is nothing quite like playing the role of a God, a master creator in control of everything with all the power. Yet, before that power seems exciting and a God can create life he must create a world for that life to live in, a place worth being worshiped for or at least where those living fear it. Perhaps that is where the fun of landscape development comes in, creating the bases for life, a planet, an environment where creatures can thrive, multiply, die, or suffer. 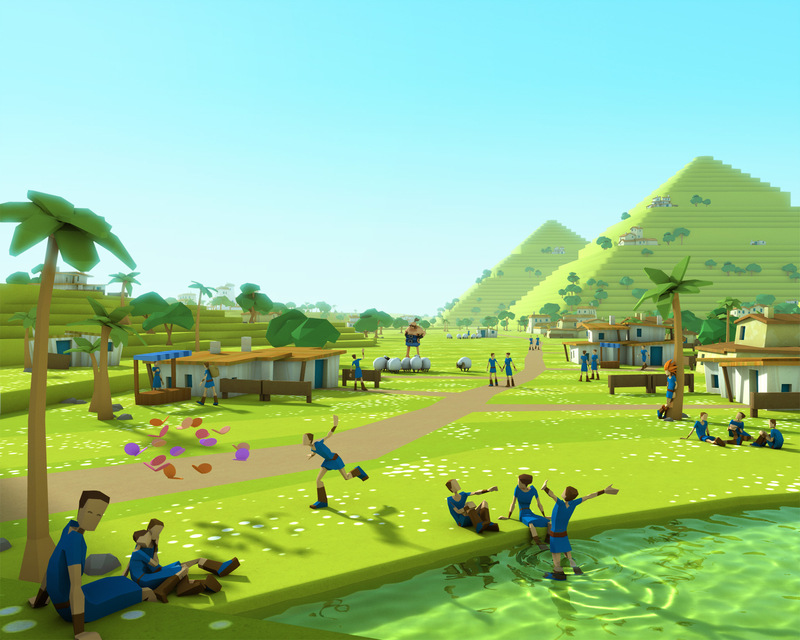 In Godus players become such a creator god, shaping the world to gain worshipers. Often times an environment is a character all its own and its personality and traits often dictate how life on it will fair and how hard it will need to struggle to survive. 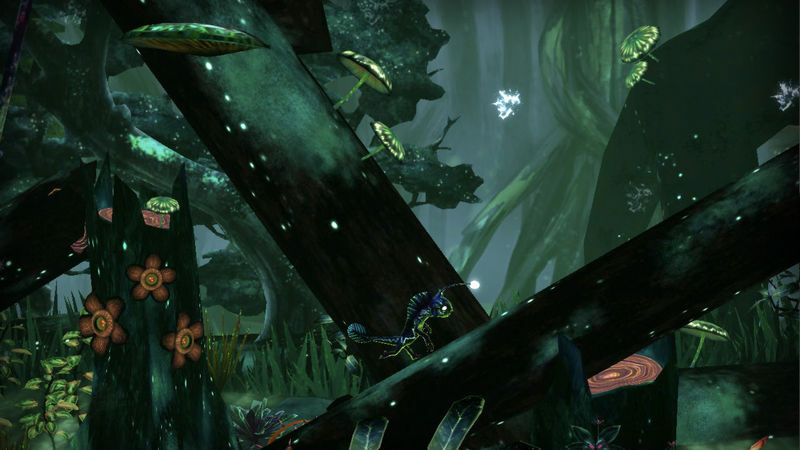 Environments, when made correctly, begin to influence players emotions. They can instill fear, sadness, excitement, and wonder, separately and sometimes all at once. Settings while not characters can be very powerful in their own right, almost as living and breathing as their inhabitants. 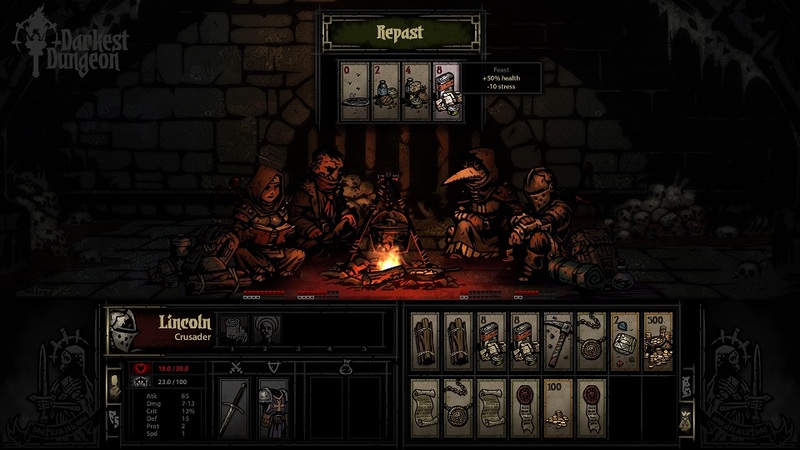 Take for instance the environment in Darkest Dungeon its bleak, treacherous, and eerie nature does not lend any help to the characters’ sanity and survival. While a game’s environment may inhibit player progression in some ways such as boulders blocking paths, thorny bushes inflicting damage or pits they cannot walk around in other cases it is an interactive landscape that allows players to progress in the game. Whether players use mushrooms to jump a little hire, vines to swing to a different platform or branches to climb hire environments can also help aid game play and make a game more fun. This interactivity allow plays to participate in a world in ways no other medium has done before. In this case a fallen branch is being used as a ramp in CreaVures. Meanwhile as technology increases so do developers ability to create more extraordinary worlds. The movement from pixels to nearly photo realistic and all the artist work in between is shocking. It is not a wonder that the Supreme Court has ruled that this interactive medium is indeed a form of art and that the Smithsonian had a exhibit about the art in video games. The time, talent, creativity and effort is often captivating and sometimes overwhelming. 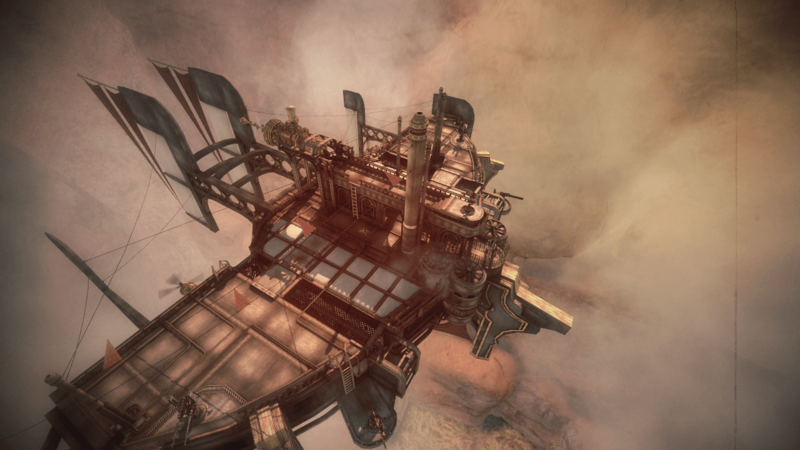 The captivating designs in games like Guns of Icarus make it difficult to be left in anything but awe. While the environments in crowdfunded games vary quite a bit from those with larger budgets they almost always have some creative and original artistic aspect to them and it is often the first thing backers are exposed to. They give viewers a glimpse of a new world and what is to come in that new world. They provide something for backers to mold their expectations around and allow those interested to imagine it before that game is ever finished. Therefore they are and will continue to be a integral part of crowdfunded games because before backers ever lay there hands on a game they must feast on it with their eyes first. Caraline Nelson is a student in Kent, Ohio. Her first gaming experiences included chasing the egg thief and avoiding Ripper Roo. Her tabletop history has drawn her to RPGs and marching band has made an affinity for rhythm games. Still, her sense of adventure has led to an exploration of other genres. A love of people makes her dance at the mention of a cooperative game and she enjoys a good conversation in which she can share her opinions. Feel free to check out her Twitter account @adorwriteable. Previous articleMassively Overpowered, Patreon, and the Future of Games Writing?